Are you looking for the best lawn care books and the best gardening books on the market? Well, we have good news! We did the research and read all the not so helpful gardening guides to find the best ones so you wouldn't have to. There are 100’s even 1000’s of books on lawn care and gardening, but only a select few made this exclusive list. Whether you want to spruce up your lawn, invite wildlife onto your property, or grow an awesome veggie garden, these books are sure to teach something new to everyone, even the most seasoned pros. So without further ado, here are the 23 best gardening books that I recommend that you read this year. If you want a great book on professional level lawn care, well this one if for you. When he is not busy manicuring Fenway Park, David spends a lot of time writing about lawn care tips and techniques. Though he has many books on the topic, one of his most thorough publications is " The Lawn Care Bible". The best combination of soil and grass seed for your lawn. And, how to finally win the war on weeds, pests, and disease. This book is written by the caretaker of one of the most renowned sports stadiums in the world. You can rest assured that David knows exactly what he is talking about when it comes to creating the perfect lawn. Here’s the deal, as the name suggests, this book covers everything about lawn care and is perfect for any homeowner. If you are like many others, you want your lawn to be as sharp as possible. With the knowledge in " Everything Lawn Care" you will learn nearly everything there is to know about making your lawn as luscious as possible. and how to to get the results you have always wanted. In this book you will learn almost everything there is to learn about lawn care, including some organic methods, and it is the perfect book for the homeowner. Look: from trees and shrubs to the blades of grass in your lawn, The Dirt Doctor has got you covered. In his book, Organic Lawn Care he covers everything it takes to build healthy soil for your lawn, organically. Building a healthy, organic soil is the key to fighting off disease, and unlocking nutrients in your lawn. A healthy soil is only the first step in proper lawn care, and this book goes much further. The best organic methods for growing a professional level lawn. This book is one of a very few covering a totally organic method for caring for your lawn. Do you want to learn exactly what it takes to make the perfect lawn organically, and with little to no maintenance? 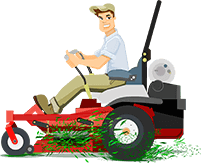 Of course, you will still need to cut the grass, but the methods Paul writes about in"The Organic Lawn Care Manual" will make your dreams of achieving the perfect lawn an easy, and environmentally friendly task. And in a manner that is safe for the environment. This book covers a lawn care program that will teach you how to create a low-maintenance lawn, organically! Here's the deal, your landscape is a major investment. Creating a landscape which is prepared to adapt to the changes in weather only helps to make your investment wiser. Best of all the action plans put forth in Climate-Wise Landscaping, can help you create a space which is also healing to our planet. With this book you will not only create an amazing landscape, you will be helping the environment too! How to create an amazing landscape! I love this book because it actually lays out actions you can take today to benefit our environment. There are so many books that talk about the dangers of pollution, but this is one of the select few that gives you actions you can take, today! In my experience, this book has several great and easy to implement landscape planes. Following the steps in this book, and using the premade templates included within, will allow you to make a great, easy to create a landscape that requires little to no maintenance. Best of all your gardens will look great throughout the year. In this book, Roy Diblik imparts the knowledge that he has learned on his path to becoming a master landscape designer. Garden layouts that will make your garden bloom year round. How to establish a low maintenance garden. And best of all, how to do it all on a budget. The garden plans illustrated in this book cannot be beaten, and anyone can follow their design. The design layouts in this book make it one of a kind. No doubt about it, if you live in the north you know that growing in northern climates is a real challenge. Not only is the growing season shorter, many plants can not survive the harsh northern winters. In her book, Mary Schier brings a rich collection of wisdom on what it takes to make a successful garden in the northern climates. Fun tips, tricks, and even some gardening lore. Here is the deal, if you live in a northern climate, this is the perfect book for you. You will learn almost everything there is to know about growing in a northern climate. You probably know that industrialization and the spread of urban areas have driven nature away from cities, and many neighborhoods. But here’s the deal, you can do something about it. In Planting in a Post Wild World, a new perspective is raised which combines a hybrid view which incorporates both the wild and the cultivated. How to renature the planet. This book challenges the notion that cities can't be a place where nature can exist. By inviting a new way of viewing your property, you can invite nature anywhere you may be living. Are you new to perennial gardening? Want to establish a low maintenance garden that comes back year after year, that looks great, and won’t cost an arm and a leg? Then, this one is for you. With only a simple garden spade, you can make a lovely perennial garden in a matter of months with Brilliant & Wild. And is great for pollinators. This book is unique in that it is intended for beginning perennial gardeners, and will teach even the novice how to create an astonding low maintenance perennial garden. Is this one for you? For many people in cities, condos, and apartments, growing space can be very limited. If this is the case for you, hanging gardens may be the perfect solution! In her book Grow a Living Wall, Shawna covers everything that it takes to grow a vertical or hanging garden. Most people don’t know this, but hanging gardens can be great for those with chronic pain and/or arthritis. This is because hanging gardens are lower impact on your body as they require less time bending over or crouching down. Additionally, Shawna has a great blog, full of other great gardening products. Highly recommend her post " Hardy Ice Plant or Delosperma is a Perfect Rock Garden Plant", such a lovely plant! How to save space and implement a hanging garden, even where space is very limited. When you think of gardening, you most likely think of gardening on the ground, but this book literally flips that perspective on its side, and shows you a new way to grow and gives you growing space you never knew you had. In this book, the authors combine their knowledge and perspectives. With Rick’s knowledge of gardens and landscapes, and Doug’s knowledge of wildlife and entomology, they lay out how to establish a living landscape. It’s true, this book is perfect for anyone looking to combine a great looking landscape with their love of nature. This book combines the modern suburban landscape, with a more natural approach, and is perfect for anyone in suburban areas looking to invite more nature into their backyard. No gardening book list would be complete without a great book on building ponds. In this book, you will learn how to build a pond that is simple to maintain. Even better, by utilizing the techniques in this book, you can learn how to build a pond that can maintain itself. Now that's what I call efficiency! Not only will the ponds in this book be simple to maintain, they can even attract and sustain wildlife. Incorporating your pond into an existing environment. You may think that building a backyard pond and making it look natural can be challenging, but this book covers the topic in such a way that makes it easy to build a natural pond anywhere. Can you imagine, growing and maintaining a garden without having to dig? That is exactly the unique thinking that lands this book on our exclusive list. I could hardly believe my eyes when I found this book, and what I found inside was truly astounding. Charles and Stephanie do a great job of consolidating decades of "no dig" experience into one single book. This one is quite impressive. Learn how to make home and vegetable gardens without digging. Grow your gardens, with minimal effort, and maximum results. This book will save you loads of time and energy when working in your gardens and achieve awesome results, all while doing it organically! Now... The Organic Backyard extensively covers organic backyard growing methods. Many of these methods are derived from those used in larger scale organic farming. You can use the tips and techniques in this book to make your own home garden produce delicious fruits and veggies, all while contributing to the health of your homes natural ecosystems. In my experience, one of the coolest topics in this book is that this book covers the techniques of co-cropping AKA cocktail cropping. This method of gardening involves using multiple species of plants, which work together to enrich the soil in between your grows. How to a garden which is beneficial to your local ecosystems. Growing a healthy vegetable garden that will enrich the lives of you and your family. This book takes the experience and techniques of large scale organic farming, and shows you how to apply those practices in your own backyard. What garden reading list would be complete without a book on chickens? Most people don’t know this, but chickens are an excellent form of pest control. Not only will they gulp up many of those pesky invasive garden pests, they can also eliminate tick populations from your property, and don’t forget the eggs! In her book, Lisa covers all there is to know about gardening with chickens. Planting herbs for chickens, building chicken homes and more. It gets better. This book covers how to not only raise chickens, but how to use them in your garden for pest control, and fertilization as well. A Unique technique that can really spice up your landscape design! Stone structures like walls, and bridges seem overwhelming and complex, but this book really makes it easy to do. In my experience, Lee Covers some very interesting content in his new book. In this book, Lee goes deeper into the art of gardening by answering some curious questions such as why petting your cucumber plants will help them to grow more fruit, and how to help your trees "sleep". This book is definitely interesting and answers some questions that even the most experienced gardeners would like to know. The answers to questions you never thought to ask. Instead of focusing on the questions people always ask, Lee dives deeper into the garden and finds questions most of us would never think to ask, and the results are fascinating. This book can reopen your eyes to the magic that lays in your gardens. Beth Chatto, who passed earlier this year was perhaps one of the most influential British gardeners. In this book, you will find the many wonderful gardens that she worked on throughout her life. This is a great summer read for anyone that is looking for an easy fun read which is loaded with great imagery, and that celebrates the life of one of Britain's most influential gardeners. Why does this matter? The landscapes of Britain are amazing, and Beth has worked on some of the best of them, this book covers her life and works. In her book Potted and Pruned, Carol takes you on an adventure through years of gardening experience. Combining both wisdom and great storytelling, this is a summer read that anyone can be sure to enjoy. What's the real story? This book talks about gardening in a way that creates a type of interpersonal relationship between people and plants, and it makes for an interesting look at plants and our relationships with them. You may know that with the modern concerns regarding the rapid loss of natural habitats, many find themselves looking for ways that they can help cultivate a better habitat in their own gardens and lawns. In his book “ A New Garden Ethic”, Benjamin covers the importance of getting back to our natural roots, and how we can do so with our own gardens. A new perspective on the ethics of gardening. This book is unique in that it covers a proactive solution for the modern concerns about environmental issues in a way that anyone can implement. Here’s the thing, many bugs are absolutely essential for producing a healthy ecosystem. Perhaps one of the most astounding is the monarch butterfly, which travels over 3000 miles every fall to Mexico from some of the northernmost parts of America. It gets better, that is just the beginning. Be sure to check this book out if you are looking to learn about the habits of these awesome critters. How to make a garden you and butterflies can enjoy. What does this mean for you? This book covers everything there is to know about the monarch butterfly, from its amazing life cycle to its preferred habitats. Have you ever wanted to dip your hands into top bar beekeeping? You may know that Beekeeping is a great hobby, and the rewards couldn’t be sweeter. Whether you are a seasoned beekeeper who is looking to advance his practice, or just entertaining the idea of becoming one, this book is for you. This book covers everything there is to know about beekeeping, it includes information for beginners and pros alike, and even includes a diagram which you can use to track your colonies progress. Last, but certainly not least on the list is the Xerces Society's 100 Plants to save the Bees. With the rapid decline in bee populations caused be neonicotinoids and lack of food availability, it is more important than ever to "bee" sure to leave some food for the bees. In this book homeowners, landscapers and apartment dwellers can learn how to create a bee healthy habitat. Even if you only have a small strip of growing space, you can still help to protect these precious insects. How to build the complete, bee friendly garden. The Xerces Society is committed to the conservation of all invertebrates, especially the pollinators. This book was written entirely dedicated to supporting bee populations and reversing the effects the overuse of pesticides and mono-crop agriculture has taken on our planet. So, What's the Bottom Line? With all of the books on lawn care and gardening out there, it can be difficult to decide which ones are the best. With this list, you now have the tools you need to choose the best of them. Be sure to share this list with your friends, family and on your social media. There is a book on this list for everyone! Hi, I'm Gene Caballero and I'm the co-founder of GreenPal . At GreenPal, we're helping hundreds of thousands of Americans solve one of the trickiest problems: a reliable, fast, and affordable way to get lawncare taken care of. On behalf of GreenPal, I've been featured in the Indianapolis Star, the Sacramento Bee, Entrepreneur, Inc.com, and dozens more. Please feel free to say hi on Twitter or connect with me on LinkedIn. The Complete Guide to Roundup Exposure. Are you at Risk?